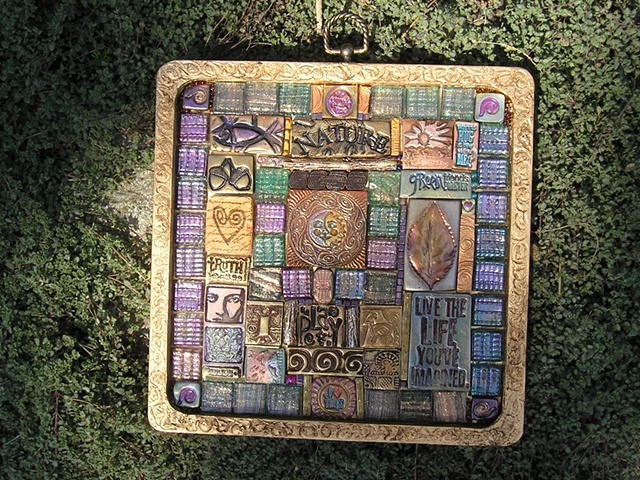 A wall plaque done in Mixed media mosaics to celebrate the joys of nature and those who love it. Each Polymer tile is handmade by me and arranged for fun and inspiration. On the back is a surprise poem about nature.